Sazanov, the 4th Dimensional Space Whale... recently landed in the grassy hills above Santa Barbara, California. 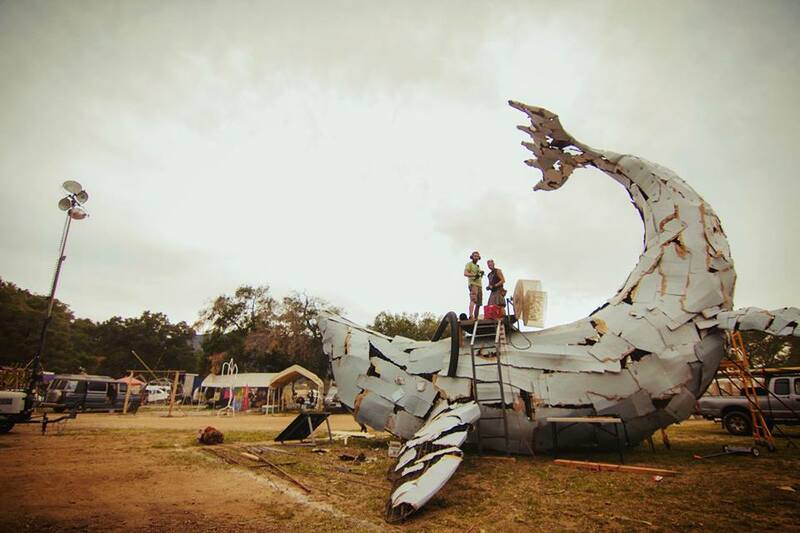 Lucidity Festival, one of our favorites if we do say so ourselves, encouraged the theme of 'Universe' this edition. So, we at Alchemy Arts extended the invitation to our furthest reaching relatives in the cosmos, and low-and-behold... Saz answered. Saz isn't just any old whale from the outer galaxies. He's a sophisticated, inter-galactic traveler equipped to carry other traveling folk on his back. Knowing full well that our atmosphere is infinitely different than others he's used to, his respirator pack was operational while he posed for hundreds of pictures and gave dozens of rides during his Lucid land-lubbing experience. If you met him at the gathering you may have noticed he was breathing heavily, even labored breathes, where smoke appeared. If so, please don't be concerned... he enjoyed his weekend, very much, and has returned to the cycle of life in the cosmos. Special thanks to the Lucid Family, Dana Glenn, Rishi 'Blaze' Dhiri , Art Zeis, Andrew Gerrard, Thea Rae, 'Ray Ray' Dixon, David Moore and Luke Holden for all your help in grounding this installation! Stay tuned for more creations going 'LIVE'! Materials used: In all reality this piece was created from 95% up-cycled materials. 3/16" rebar, 3/4" steel piping, light-weight fencing, and heaps of cardboard remnants. The first EVER 4th Dimensional Space whale in the flesh! The perfection of "Mother's" tools.